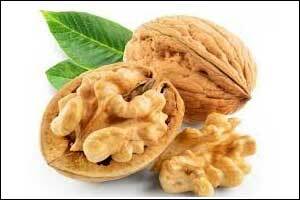 Eating a diet rich in walnuts may help prevent several diseases prevalent in India such as cardiovascular disorders, cancer, and diabetes, according to an international team of researchers. Researchers and medical professionals from the field of Nutrition, Cardiovascular, Cognition, Alzheimer’s, and Diabetes today held a scientific meet here to discuss the state of health in India, dietary patterns, chronic health conditions and promotion of healthy lifestyles. The day-long Scientific and Health Research Meeting hosted by the California Walnut Commission (CWC) discussed the role of walnuts in disease prevention and maintenance of healthy lifestyle in the country. Several research findings have shown positive outcomes of walnuts in health issues such as cardiovascular disease, cancer, diseases of aging and diabetes. According to Dr. Rekha Sharma, Former Chief Dietician, All India Institute of Medical Sciences (AIIMS), New Delhi, metabolic syndrome combined with physical inactivity and undernutrition coexists in India, as a double burden on health. Obesity, hypertension, diabetes and coronary artery disease are like a rising inferno in India, particularly in urban areas and on the other side of the spectrum we have undernutrition, especially in children, she said. Sharma quoted a Lancet study which found that India is the third most obese country in the world after US and China. “Indian population should increase consumption of fruits and vegetables, legumes, whole grains and nuts in a daily diet,” said Sharma. “All nuts are the rich source of monounsaturated fatty acids (MUFA) and walnuts in addition also contain high amounts of omega-3 fatty acid, making it heart healthy,” she said. Researchers said that the incidence of dementia in India has seen an increase of over 10 percent from its 2010 estimates of 3.7 million to 4.1 million. The present cost of care has also increased from 14,700 crore rupees to around 16,300 crores, they said. “Walnuts in the diet may improve cognitive function in normal individuals, and reduce the risk or delay the onset or progression of mild cognitive impairment (MCI) and dementia in Alzheimers disease (AD),” said Abha Chauhan, from New York State Institute for Basic Research in Developmental Disabilities (IBR) in the US. The event saw the presence of several international researchers who talked about their area of study on walnuts. “Walnuts are the only tree nut to contain a significant amount of the plant-based omega-3, alpha-linolenic acid, required by the human body,” said Dr H K Chopra, who chaired the meeting. “A handful of walnuts also offers four grammes of protein, two grammes of fiber, and is a good source of magnesium,” said Chopra. “With a variety of nutrients and a flavor profile that pairs well with an array of seasonal foods, they are an ideal ingredient any time of the year,” he said. The CWC has been actively highlighting walnuts to Indian consumers through marketing activities that promote walnuts of California origin, quality, taste and positive health benefits. These health benefits have been demonstrated through over 180 research papers published since the early 1990s when the commission actively began assessing the role of walnuts in diet and effect on chronic disease prevention. “This Scientific and Health Research Meeting was an exceptional platform to discuss the state of health in India, dietary patterns, chronic health conditions and promotion of healthy lifestyles,” said Michelle McNeil Connelly, CEO of the CWC. “We hope that this meeting provides an opportunity to maintain a network of researchers and medical professionals who may contribute to walnut-specific health research in India,” Connelly said.